The Center for Faith and the Common Good (CFCG) is pleased to announce the receipt of a grant from the Henry Luce Foundation’s Program on Religion in International Affairs, to be carried out by The Joint Learning Initiative on Faith and Local Communities (JLI). The project, titled “Religion, Refugees, and Forced Migration: Making Research-informed Impact in Global Policy Processes” will be in collaboration with Dr. Elena Fiddian-Qasmiyeh at University College London and with the support of Atallah Fitzgibbon at Islamic Relief Worldwide, the co-chairs of the JLI Refugees and Forced Migration Learning Hub. Dr. Olivia Wilkinson, JLI Director of Research, will oversee the work focused on the translation of research for impact on policy and practice. Project activities will include the production of policy guidelines and annotated bibliographies that synchronize existing research on faith and refugees with the three main themes of the programme of action for the Global Compact on Refugees (reception and admission, meeting needs and supporting communities, durable solutions). Other activities will focus on outreach through newspaper articles, podcast episodes, infographics, press releases, media packs, and social media messaging. To ensure that these activities reach the right people, the researchers will also undertake a mapping exercise of key influencers and then arrange a series of consultations and briefings to reach out to specific groups in global hubs of decision making and activity on refugee response. Briefings are planned in New York around the General Assembly in September as well as in Geneva, and Beirut or Amman. These research translation activities will coincide with the final stages of the development and the adoption of the Global Compact on Refugees. They will help to inform new audiences in the humanitarian and development field of the existing and growing evidence base on religious belief, practice, and faith-based work related to refugees. For more information please contact the Joint Learning Initiative’s Director of Research, Dr. Olivia Wilkinson at [email protected]. Deputy Secretary-General, Amina J. Mohammed. Ms. Mohammed opened the event and reported that this was an issue close to the Secretary General’s heart. She acknowledged the ways in which faith-based organizations can bring both their extensive experience and moral voice to the work of providing for displaced people. Other speakers included many JLI member organizations, such as Rev. Dr. Olav Fyske Tveit, General Secretary of the World Council of Church and Mr. Rudelmar Bueno de Faria, General Secretary of the ACT Alliance. Jonathan Duffy, JLI Board co-chair and President of ADRA spoke in the afternoon session on “Development, Humanitarianism, and Human Rights.” In his speech, he highlighted the work of the JLI in convening on evidence related to religion and refugees and mentioned the new scoping study on this topic. Dr. Olivia Wilkinson, JLI Director of Research, attended the event and spoke to attendees about the scoping study. Efforts to bring local faith actors (LFAs) into the wider humanitarian apparatus have been a key aim of the localisation of aid agenda. In this piece, Olivia Wilkinson (Director of Research of Refugee Hosts’ research partner, the Joint Learning Initiative on Faith & Local Communities) argues that there is a need to ensure that such engagements provide space for LFAs to remain faith actors, while also aligning them with international humanitarian principles. This requires us to reflect on the histories and values underpinning humanitarian principles, as well as the agency, complexity and nuance of local faith actors and refugees. For suggested readings on this theme, see the reading list at the end of this article, as well as our ongoing series, Contextualising the Localisation of Aid Agenda, for more. In late 2016, the Joint Learning Initiative’s Refugee and Forced Migration Learning Hub -a Hub co-chaired by Refugee Hosts’ PI, Dr. Elena Fiddian-Qasmiyeh and Islamic Relief’s Sadia Kidwai – began scoping out what is known about the place of religion in refugee response. The overarching project was split into two studies: the first analysing religion and refugees in regards to localisation and urbanisation, in recognition that refugees increasingly live outside camp settings and that local faith actors (LFAs) are active in aiding refugees in urban settings; and the second to examine the stages and spaces of refugee experience in relation to religion, to understand the moments at which religion and religious actors play a role in the trajectory of refugee journeys and the places in which these interactions happen. The first part of the scoping study was launched in October 2017 at the “Localizing Humanitarian Response Forum: The Role of Religious and Faith-Based Organizations” in Sri Lanka, which Estella Carpi wrote about in an earlier post in this series. The second part of the study will be launched towards the end of this year. Echoing Estella’s post, in addition to other pieces published on Refugee Hosts (here, here and here), the study speaks to the opportunities and challenges of engaging with local religious actors in refugee response. The state of the art literature review and the interviews with key experts that underpinned the study found that religion adds immediate complexity to the localisation debate, often in ways that can be controversial and are therefore sidelined. While we found a multitude of ways in which local religious actors provide services for refugees, it is a struggle to find mention of these actors in any of the main documents tied to the localisation of aid (see page 14 of the report for some examples). While the Comprehensive Refugee Response Framework (CRRF) includes faith-based organisations (FBOs) as stakeholders, the specificities of LFAs in their different contexts requires detailed analysis that is not included in the use of the broad-brush term, “FBO”. The challenges faced in engaging local faith actors in refugee response are not new just because localisation is the current buzzword. The reasons why LFAs are not more involved in international humanitarian response for refugees have always been the same: religious actors can be party to the conflicts that drive forced migration; they can be partial in their assistance, prioritizing those of the same faith and overlooking those of other faiths; they can enforce cultural and gendered stereotypes; they proselytize, using their assistance to convert vulnerable people to their religion; and they are overburdened and lack the capacity to comply with humanitarian standards. Some of these points are common to other local actors as they are politically and socially embedded and equally lacking in capacity to keep up with the demands of international humanitarian donors. Yet LFAs continue to respond to refugees around the world, including in urban environments. If we are to believe in the earnestness of the call to localise from the international humanitarian community, then this must naturally include LFAs. To be involved in localisation, LFAs must overcome, and international actors must equally find ways to overcome, these barriers so that equal partnerships can develop. From the research, there were several examples of ways in which these challenges were encountered, yet had been, to greater and lesser extents, overcome. To dive in the deep end, it is often held that for LFAs to be fully inducted into the international humanitarian community, they must not proselytise their faith. This standard is of course crucial, allowing humanitarian actors to ensure that assistance is given freely and without conditions. The literature paints a more nuanced picture however. First, it is often dangerous, or highly disadvantageous to convert. In research from Kaoues in Lebanon, it was found that Muslim converts to Christianity were doubly rejected, both from the Muslim refugee population of which they had previously been part, and the Lebanese Christians in their new religious community. This demonstrates that in many cases the short-term material benefits linked to conversion are soon outweighed by the social disadvantages. In particular, this example shows the important need to recognise the intersections of ‘minority’ and ‘majority’, and how this is ‘read’ and ‘ascribed’ by observers on the basis of ethnicity and other identity markers. Second, local religious leaders are not necessarily playing a short-term numbers game to gain converts, but aiming to build prolonged relationships within their broader community. In comparison to short term missionary trips from various external countries, local religious leaders embedded in communities do not want to pressure people to convert through their assistance, as noted by research from Kraft, also in Lebanon. Finally, as Elena Fiddian-Qasmiyeh has pointed out in much of her research, the agency of beneficiaries has been overlooked. In the Sahrawi refugee camps (in Southwest Algeria), she found that refugees’ political representatives, “mobilized religiously-related claims to maximize diverse short- and long-term benefits both inside and outside the camps,” accessing both material resources and the political support provided by Evangelical American actors in the camps and in the USA. While this demonstrates a need to recognise the complexity of proselytisation and the nuances of the contexts in which it takes place, it does not do away with the fundamental concern of faith actors tying their assistance to conversion. Most of our interviewees reported having seen or heard about such practices. However, interviewees also explained the ways in which they had still managed to successfully partner with LFAs who had initially included types of proselytisation in their assistance. One interviewee described a negotiation with a local faith actor in which they held a meeting with refugees about their religion, but only after all distributions had been made so that attendance was a choice and not tied to assistance. In their opinion, the method maintained dignity on both sides, recognising that the refugees and local faith community involved in distribution were able to uphold their identities without compromising the distribution. This was a one-off solution, but in another example from the Lebanese Society for Education and Social Development (LSESD), they conducted training on humanitarian principles for LFAs. They reported some initial missteps in explaining the concepts behind the humanitarian principles to LFAs and described how they had learned that specific examples were more effective than providing an abstract description of concepts such as impartiality and neutrality. On one hand, there is the fear that LFAs will be “NGO-ised” through the localization agenda, to the point that they lose any identity as faith actors, becoming instrumentalised sub-contractors for international humanitarian organisations instead. On the other hand, there are sensitive ways to conduct trainings that allow organisations to remain faith actors, while also aligning them with international humanitarian principles. This element of complexity in engagement with LFAs shows that international humanitarian organisations must be committed to capacity building in humanitarian principles, standards, and compliance with LFAs, while recognising the agency of refugees and LFAs to interact around and about their faiths, without assuming it is proselytization. Fiddian-Qasmiyeh, E. and Ager, A. (eds) (2013) Local Faith Communities and the promotion of resilience in humanitarian situations, RSC/JLI Working Paper 90, Oxford: Refugee Studies Centre, February 2013. Kidwai, S. and Fiddian-Qasmiyeh, E. (2017) “Seeking Evidence to Provide Protection: How Can Local Faith Communities Support Refugees? JLI’s Partner the GHR Foundation is seeking a Senior Program Officer- Initiative Faith and Development. The senior program officer is part of GHR’s Program Leadership Team whose primary responsibility is to lead GHR’s Initiative on faith and development. This person will be responsible for designing and implementing a strategic portfolio of grants and non-grant activities to both inform and advance the catalytic effect that faith can have on positive change in the world. Send cover letter and CV to [email protected]. Position will remain open until filled. Congratulations to JLI Partner, the International Dialogue Centre (KAICIID) for receiveding the prestigious Africa Peace Award 2018. The Peace Award was for its work promoting interreligious and intercultural dialogue in Africa and the world, and in particular for its contribution to reviving the African Union Interfaith Dialogue Forum in partnership with the African Union. The prize is given by United Religions Initiative (URI), the renowned global NGO representing 204 member organizations in 31 African countries. 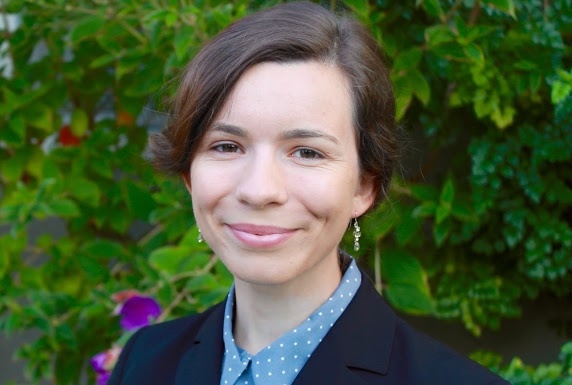 The Joint Learning Initiative on Faith & Local Communities is delighted to announce Olivia Wilkinson, PhD is joining as the Director of Research. In this position, she will be ensuring the quality of JLI evidence building, knowledge translation and building collaborations with academic partners. She will work closely with Stacy Nam, the Knowledge Manager and with our members to help grow and share their research. Olivia has been an academic member of the JLI Resilience, Mobilization of Local Faith Communities, and Refugees and Forced Migration Hubs for a number of years. She has contributed as research consultant to Learning Hub projects, including the 5 evidence briefs brought to the World Humanitarian Summit, and is lead author of the the recent JLI Refugee Hub Scoping Study. She was the coordinating editor on the recent summary of Proceedings of Forum on Localizing Humanitarian Response: the Role of Religious and FBOs and previously published in a number of academic journals. Her PhD research focused on secular and religious responses to disaster following Typhoon Haiyan in the Philippines. The JLI Board elected Jonathan Duffy as the new co-chair serving with Rob Kilpatrick. Jonathan is the President of the Adventist Development and Relief (ADRA) International. Jonathan previously served the agency for four years as CEO of ADRA Australia. Prior to joining ADRA, he worked for 28 years in the public health sector, where he gained experience and expertise in community development, health services management and health promotion. During this time, he worked with remote communities in the South Pacific to improve access to health services. He has a passion for helping young people, and has implemented programs, conducted research and published in peer reviewed journals in relation to youth resilience. A champion for social justice, he uses his position to advocate for action on social justice issues and for a human rights based approach to development. He currently serves on the InterAction Board, where he heads the standards review task force, and is also an International Civil Society Center board member. Hiruy Teka is joining as a member of the JLI Board of Directors. He leads the International Disaster Response Programme of Samaritan’s Purse UK. His role includes managing complex refugee and drought relief projects, raising funds from UK and Europe-based institutional donors, managing humanitarian projects and programmes all over the world (with budgets totaling millions of pounds, euros and dollars), and personally responding to disasters from time to time. As an Ethiopian in humanitarian and crisis response, he approaches his job with a great deal of passion and respect for people affected by disasters. The October 25 & 25 meetings of the JLI included 34 board, advisory group and learning hub co-chairs. The two-day meeting objectives were to share the current state of JLI hub evidence, examine JLI’s role considering the external environment and determine JLI’s next steps. Matthew Frost, JLI Board Co-chair for the past few years stepped down at the meeting. Matthew will continue as a general board member. Thanks to Matthew for all the wisdom and gifts shared during your time leading the JLI! With a new board co-chair elected unanimously –Jonathan Duffy, President, ADRA International, JLI will be focusing on how to implement goals identified at the board meeting.